Search Results for "residential neighborhood"
A pedestrian's walking perspective on the streets of a typical Beverly Hills upscale residential neighborhood. SB0049 A three-quarter view driving in a typical Arizona residential neighborhood. 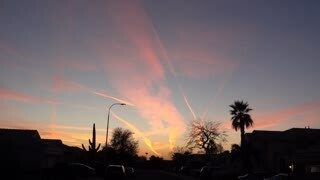 Phoenix suburbs. 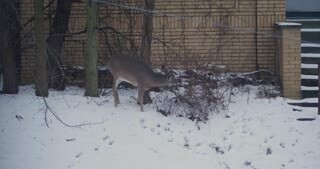 SB0041 A deer scavenges for food in a residential neighborhood in winter. Pittsburgh suburbs. 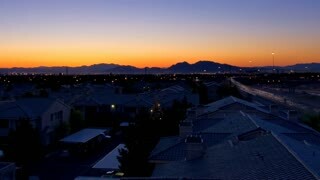 SB0083 A handheld shot of a colorful sunset over a typical Arizona residential neighborhood. 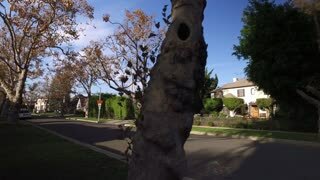 A daytime exterior establishing shot of a typical upscale Beverly Hills residential neighborhood palm tree lined street. A daytime overcast winter establishing shot of a typical middle-class residential neighborhood. Pittsburgh suburbs. woman enjoys morning in weekend time by walking through her neighborhood area. female dweller sips strong coffee in residential quarter. An aerial view looking straight down on a typical western Pennsylvania residential neighborhood in late Autumn. 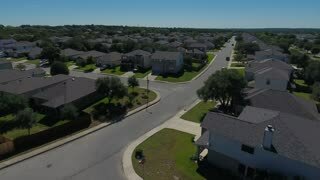 A daytime rising aerial establishing shot of a typical San Antonio, Texas residential neighborhood. 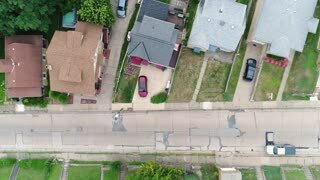 A daytime late winter bird's eye aerial establishing shot straight down on a typical residential neighborhood in a Western Pennsylvania small town. Pittsburgh suburbs. 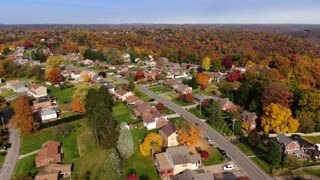 A forward aerial flyover establishing shot of a typical Pennsylvania residential neighborhood in the late Autumn. Modest homes nestled in Fall foliage below. Pittsburgh suburbs. A slow forward high angle aerial establishing wide shot view of a western Pennsylvania sunset over a small countryside residential neighborhood. Pittsburgh suburbs. 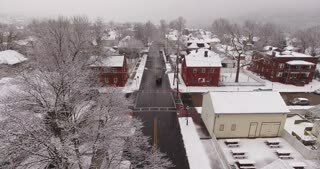 AMBRIDGE, PA - Circa March, 2017 - An aerial winter establishing shot of a small town residential neighborhood intersection. 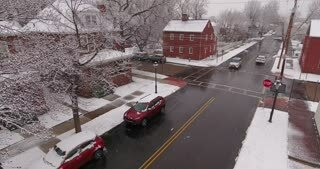 A slow reverse winter aerial establishing shot of snow covered roads and homes in a rust belt residential neighborhood. Pittsburgh suburbs. A personal perspective of driving in a typical western Pennsylvania small town or residential neighborhood. A driver's side perspective on the streets of an upscale residential neighborhood on a late winter day. Pittsburgh suburbs. A slowly rotating aerial snowing winter view of a typical Western Pennsylvania residential neighborhood. A daytime winter overcast aerial establishing shot of a typical Western Pennsylvania residential neighborhood. Slow forward motion. 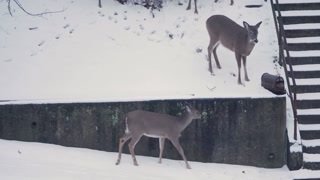 Snow covered roofs, houses, and yards. Pittsburgh suburbs. 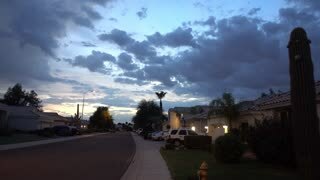 An establishing shot of sunset over a typical Arizona-style residential neighborhood. A rear perspective of driving through the upscale residential neighborhood area of Pittsburgh's Washington's Landing island. A daytime winter overcast aerial establishing shot of a typical Western Pennsylvania residential neighborhood and intersection. Slow forward motion. Snow covered roofs, houses, and yards. Pittsburgh suburbs. AMBRIDGE, PA - Circa March, 2017 - An aerial winter establishing shot of a small town residential neighborhood. A fast aerial orbit around a typical Pennsylvania residential neighborhood on an Autumn day. Pittsburgh suburbs. A high angle fast forward flyover of a typical Pennsylvanian residential neighborhood. Pittsburgh suburbs. 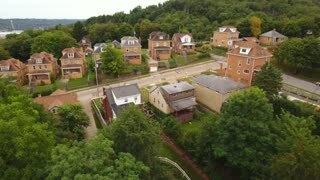 A cinematic orbiting aerial long shot of a typical western Pennsylvania residential neighborhood on a late summer day. Pittsburgh suburbs.